We just posted a review about Flicka: Country Pride. Now we're giving two of our readers a chance to get a copy of this wonderful movie to add to your own movie collection. Many films focus on the unlikely bond that forms between man and beast. 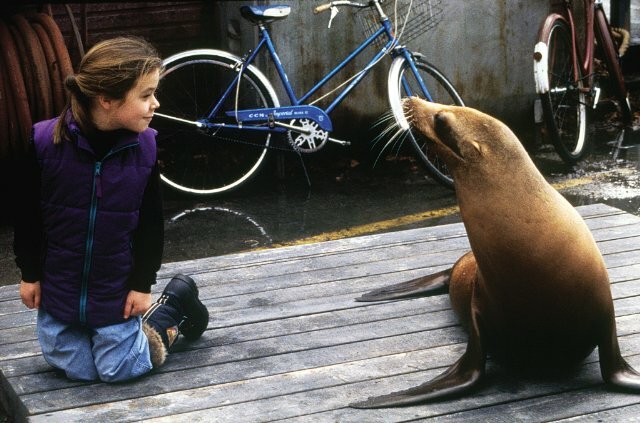 From Jesse and Willy from Free Willy to Hiccup and Toothless in How to Train Your Dragon, we’ll examine five of our favorite animal and human friendships in the films of yesterday and today. 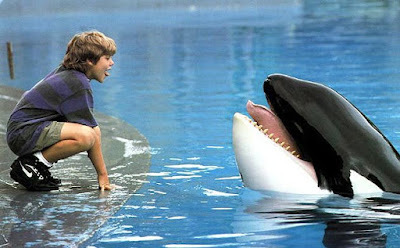 In 1993’s Free Willy, 12 year-old Jesse is forced to work at a theme park as restitution for vandalizing it. There, he meets and befriends Willy, a captive orca whale. Because Willy responds to Jesse’s commands, he earns a job at the park working with the orca. Jesse eventually learns that the park’s management has plans to kill Willy in order to collect the $1 million insurance policy on him. In one of film’s most iconic moments, Jesse guides Willy up and over a rock wall to freedom, where he returns to his family in the wild. The 1994 film Andre tells the story of a young girl named Toni Whitney (Tina Majorino) who adopts an orphaned baby seal in 1962 coastal Maine. Toni and Andre form an inseparable bond, but as Andre grows, he becomes harder to manage and care for in the Whitney’s home. Andre’s mischievous attitude and his antics also make the local fisherman dislike him, and Toni goes to great lengths to keep Andre out of harm’s way, even putting herself in dangerous situations to protect him. 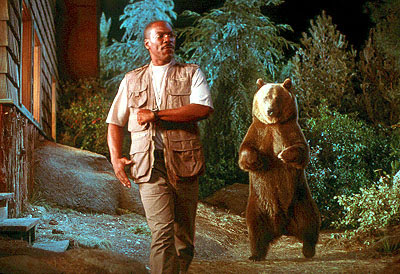 Eddie Murphy stars as the title character in 1998’s Dr. Doolittle, a film about a doctor who realizes he has the unique ability to understand and talk to animals. Dr. Doolittle befriends a dog called Lucky who helps him realize his true calling as someone who was meant to help animals in need. Dr. Doolittle and Lucky are able to work together to save a tiger, which helps Dr. Doolittle realize that he should be both a human doctor and a veterinarian. 2010’s computer-animated film, How to Train Your Dragon, tells the story of Hiccup, a young Viking teenager, who aspires to be a dragon slayer like his father. After capturing his first dragon, he realizes he doesn’t want to kill it and instead befriends it. 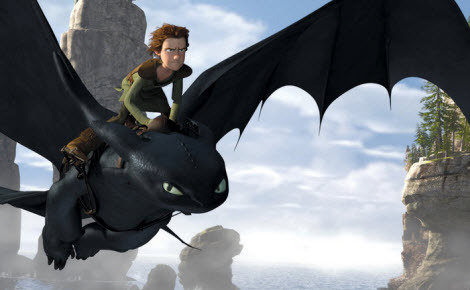 Hiccup names the dragon Toothless, and they form an unlikely friendship. Hiccup tries to show his village the true nature of the dragons – that they are actually not cruel – and, eventually, is able to convince the Vikings and dragons to work together. 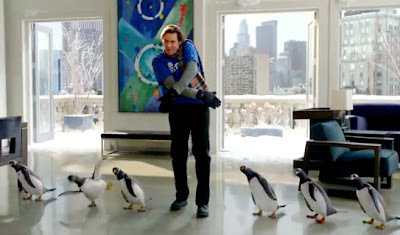 In 2011’s Mr. Popper’s Penguins, the uptight businessman, Mr. Popper (Jim Carrey), is given six penguins after his father’s death. He plans to give them away, until he discovers that his children love them. Popper soon grows to love the penguins as well, and a friendship develops between them. After the penguins lay three eggs and only two of them hatch, Mr. Popper becomes obsessed with the un-hatched egg. When he can’t save it, he gives all of the penguins to the zoo, but soon realizes that was a mistake. He then steals the penguins back and is reunited with his feathered friends. So, which out of the Five Human-Animal Pairing was your favorite? Enter the giveaway below and let us know!